Talking to people with your condition who have it or know people with it will be immensely helpful with your recovery and will give you that little bit of support that your family and friends can’t. trust me when I tell you from experience there is nothing worse than being surround round people that love you but still feeling all alone. You will find it sooo helpful and really pull you through. 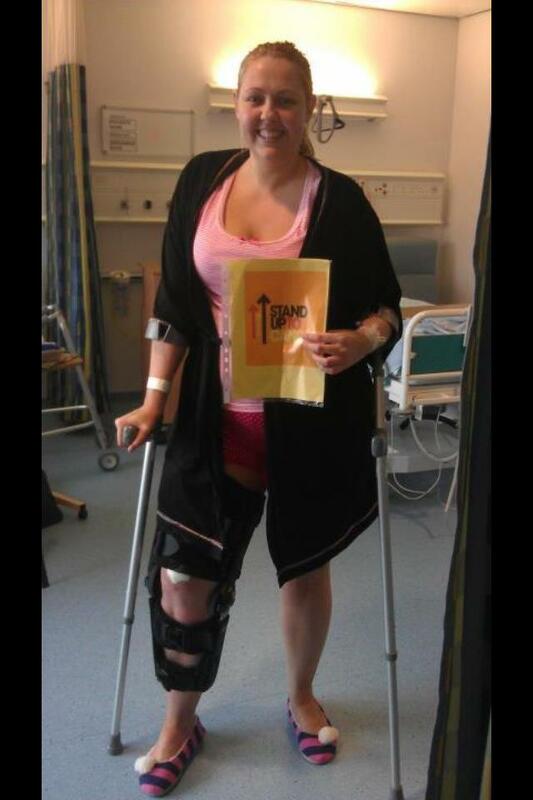 Emma you really are an inspiration and absolutely amazing! Keep standing up Emma!! My son had a huge osteosaracoma in his right thigh as well..He was diagnosed at the age of 16. I had the pleasure of having him around me until he was 25..he was one of the first patients to undergo a completely experimental protocol for this type of cancer and I know for a fact that because of what he went through he was able to help others with this cancer! Emma, was so lovely to see your beautiful smile today, keep fighting this awful thing!! !